Vulcanite supplies piling and isolation elastomers to many of the OE manufacturers around the world. We have developed a reputation for high quality at a reasonable price. These are used on pile driving machines. 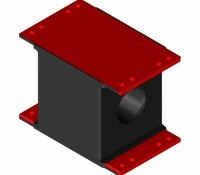 They have the capacity to handle large amounts of shear deflection during piling or extraction. 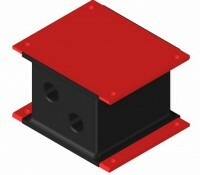 These rubber elements provide vibration damping between the pile and piling machine. 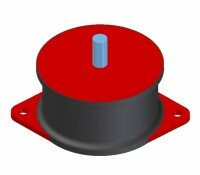 These are used on vibratory rollers and other compactors to absorb vibration between the vibrating components and the rest of the vehicle or equipment. For large pile driving machines. They have the capacity to handle large amounts of shear deflection during piling or extraction. 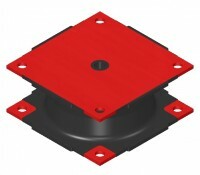 These rubber elements provide vibration damping between the pile and piling machine. For medium-sized pile driving machines. They have the capacity to handle large amounts of shear deflection during piling or extraction. For small-sized pile driving machines. 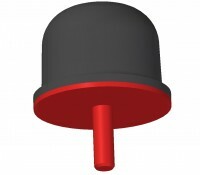 They have the capacity to handle large amounts of shear deflection during piling or extraction. For use on pile driving machines. They have the capacity to handle large amounts of shear deflection during piling or extraction. 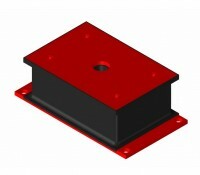 Sandwich mounts are square or rectangular shaped anti-vibration mounts – rubber in the middle sandwiched between two metal plates. 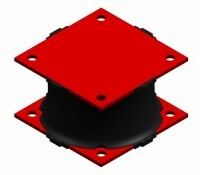 Drum mounts are round (drum-shaped) anti-vibration mounts – rubber bonded between two metal discs. Buffers and bump stops are typically made of a hard rubber compound to absorb sudden shocks, prevent overrun and reduce movement without considerable rebound.